Who’s traversing the dark tarmac at witching hour on American highways? The most obvious answer is of course truckers, working men and women delivering precious cargo to a napping nation. 70% of all freight is delivered by diesel jockeys accounting for 255 billion dollars in trade yearly. They’re America’s last real cowboys/girls riding the open range. Secondly are outlaws. Hijackers, thieves, prostitutes and last call for alcohol desperados driving drunk bumps one eyed blind. Lastly is the Highway Patrol protecting random travelers and Americas cowboys/girls against the outlaws. What about us motorcyclists? 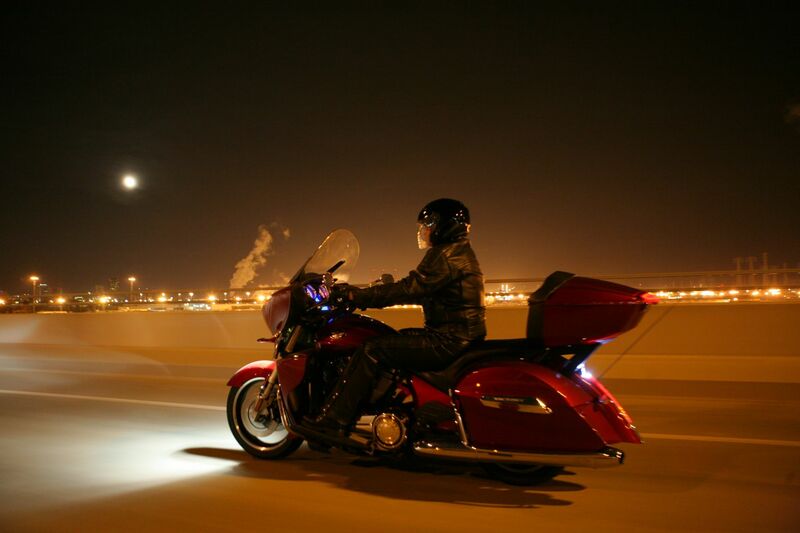 When was the last time you rode all night long? I was suddenly intrigued by these midnight riders on a graveyard run. 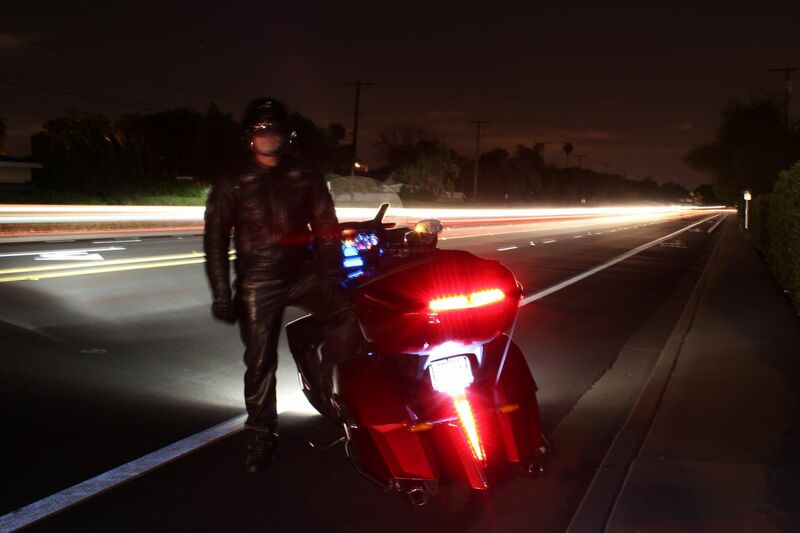 I love 800 mile rides but never ride all night long and I’m even night-time wired, regularly up until 3am hunched over hot computer. Writing about, not riding on a dark deserted highway. Who are these night shifters and graveyard tanker yankers? Where do Midnight Riders Sleep? Hotel/Motels cater to 9 to 5ers, so where will I sleep in the daytime during my six nights of travel? It’s called Early Check-In and hotel/motels can only accommodate you if they have a room that wasn’t booked that day. Legally they cannot re-book a room within a 12 hour cycle. They’ll only know the very night you need your room if it’s available and will alert housekeeping so you’re not bothered during the day. Carry good earplugs and an eye mask. Midnight riders lose housekeeping services if you stay more than one night. You better know your route, potential motels and have their phone numbers in your cell phone.